All We Do is Liposuction! “We love what we do, and we do it extremely well.” Liposuction is our Specialty and we’ve focused all of our efforts to offer the highest standard of care to our patients. The CDC statistics show that 1 in 3 adults is now considered obese. Liposuction can remove large quantities of fat from nearly any part of the body to significantly reduce your size and improve your curves. Through minimally invasive liposuction techniques, we are able to remove nearly 75-80% of the fat cells in a treated area. Approximately 70% of our patients fly in from out of state to take advantage of our extensive experience and affordable rates which are about 1/3 the national average. Studies have shown that liposuction can reduce your bad cholesterol by up to 57%, which is more than expected with drug therapy. I can’t believe this came out of me in 2 hours!!! 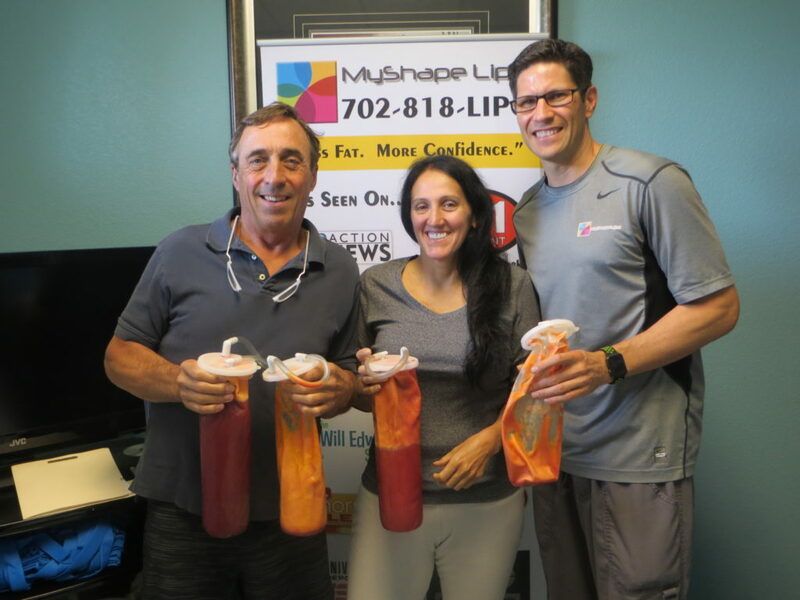 Through liposuction, large volumes of fat are removed immediately and you are actually able to hold the jugs of your own fat, so you know with 100% certainty that your fat is gone and out of your body. You will be smaller instantly once your fat is out of your body. After the healing process, you’ll see dramatic results and improvements in your shape. More importantly, your confidence will be notably improved as you feel more comfortable in your own skin. You’ll appreciate the instant gratification knowing that the fat which you despise is finally out of your body for good. With over 15,000 procedures performed, we’ve helped our happy patients to achieve the natural curves they’ve only dreamed of in the past. Our patients have given us over 1000 positive reviews on Facebook, YellowPages and Better Business Bureau. You can see from our large collection of before and after pictures in our gallery, that we are capable of accomplishing dramatic results to help our patients regain their confidence. People will notice that you look better and feel more confident with clothes that fit your body the right way. Why have you waited so long to take control of your body? There is no need to wait another day to look and feel better about yourself. Remove the fat that has been dragging you down and making you feel like things are out of control. You’ll improve your health by eliminating large quantities of unwanted fat. Studies have shown that liposuction can substantially reduce your risk for diabetes, heart disease and stroke. You’ll feel more motivated and inspired to live a healthier lifestyle. Once you achieve your desired results, you’ll work hard to maintain you investment in yourself. If you’re unhappy with yourself and wish you had a more proportionate body shape so you could fit better into your clothes, then liposuction can make a profound impact on your life. Stop the pattern of denial and avoidance and take action today to remove your unwanted fat. Improve your confidence so you will feel comfortable living your life again. Live a healthier lifestyle so that you can spend more quality time with your loved ones. Bring your body proportions back into the normal range so you can fit into all those clothes you’ve been storing in your closet. Regain you lost mobility that has eluded you as your weight has increased. If you are considering liposuction and a tummy tuck, in most cases, we recommend to our patients that they get the liposuction procedure done first. We recommend this for several reasons. First off, the results of your tummy tuck will be dramatically better due to the fact that the fat has already been removed. Secondly, most of our patients are so impressed with the results of our liposuction that they don’t actually need a tummy tuck after all, saving them money and the risks of general anesthesia. Please watch a video of our specialist discussing the issue, Click Here. Once you are serious about making the permanent change that you deserve and committed to looking and feeling better about yourself, the next step is scheduling your Free “Body Shape Analysis.” In this consultation we will either meet with you in person or over the phone with the use of pictures. Our specialist will answer all of your questions and address any concerns. We’ll evaluate your body and decide on a plan of action that works best for your budget and needs. To start the next step, simply click the button below and enter your information. For more in-depth information regarding liposuction, please see our Liposuction FAQ, and if you have more specific questions, our staff would love to assist you. Don’t hesitate to call us at 702-818-5476.